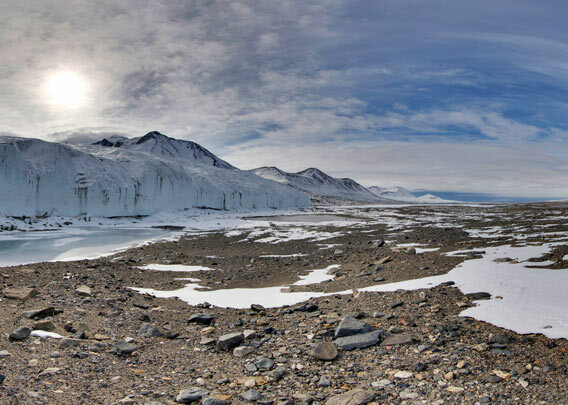 The so-called McMurdo Dry Valleys, west of McMurdo Sound in the Ross Sea, are amongst Antarctica’s highlights in terms of scenery and natural history interest. 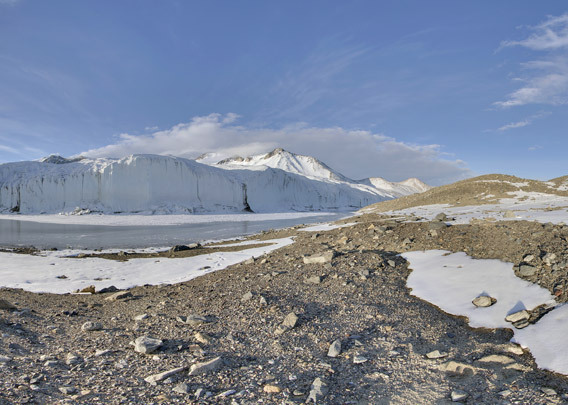 They are amongst the largest mostly unglaciated land-areas in Antarctica. The reason is the lack of precipitation: there is simply none, apart from some snow that is blown through the valleys by the wind, which can be violent. 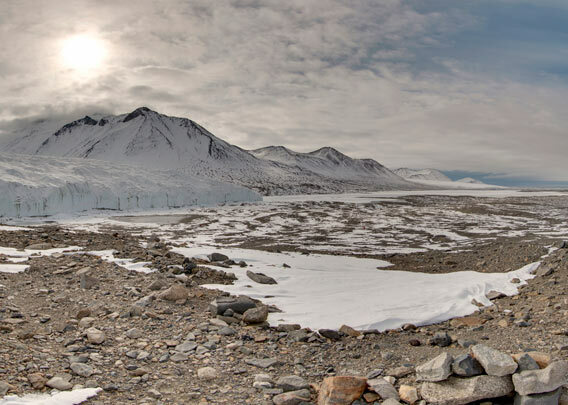 The valleys appear completely dead, the only life there is microbes that are not visible with the naked eye and live mainly in the few meltwater lakes and streams. Some of these are even hyper-saline. 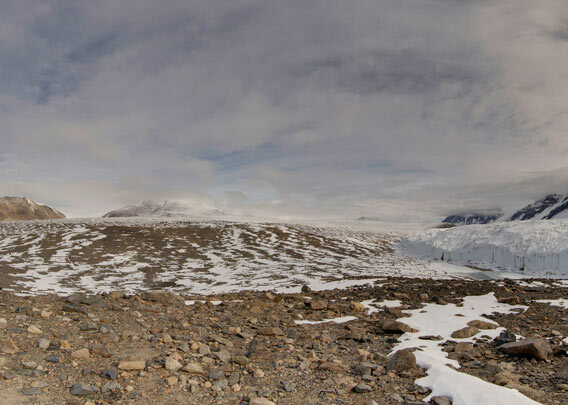 Occasionally, a confused seal comes up into the valleys from McMurdo Sound, losing track in the Antarctic desert, and then dies far away from the coast. 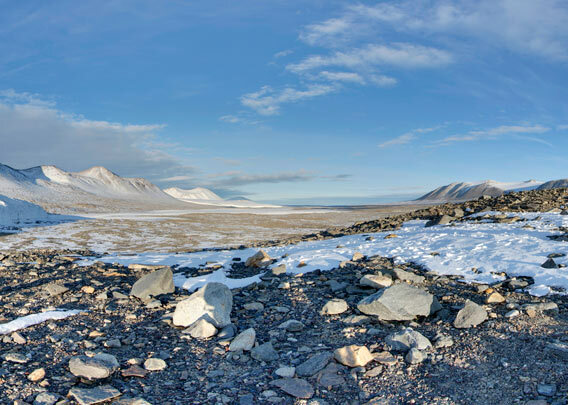 Dried by cold and wind, their mummies have been resting in the Dry Valleys for centuries and can still be seen. Tourists may only visit a limited area near Canada Glacier in Taylor Valley. This area is far away from the coast and can only be reached by helicopter.